Tested and approved by SCM. Solid cast ring fits around King Pin to prevent unauthorised hitching. TNO Road Vehicle Research Institute approved. Simple to fit and remove. For large heavy goods trailers. Norwich union approved, 1" diameter, case hardened Lock Bolt. 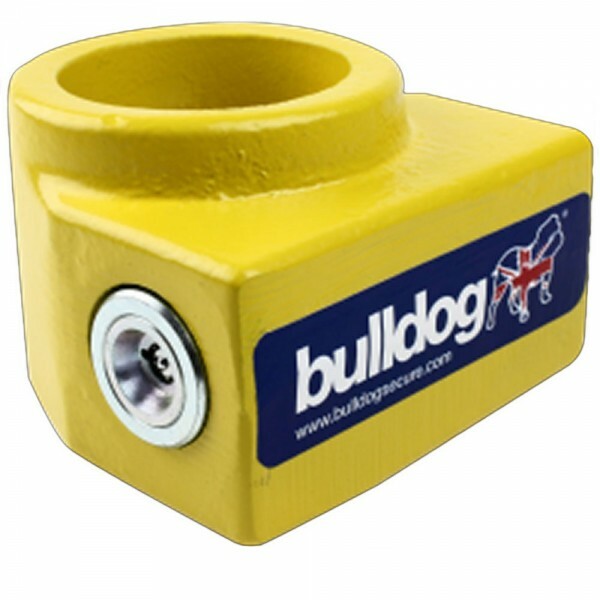 British manufactured and sold with Bulldog 5 year Guarantee. Secured by Design is the only form of police approval for products in the UK.